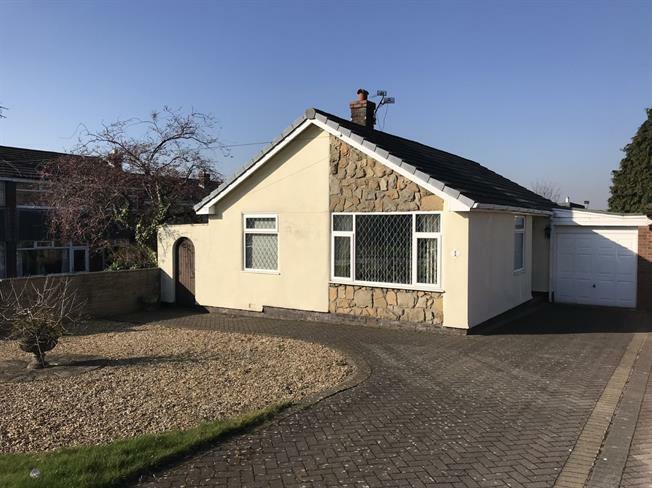 3 Bedroom Link Detached House Bungalow For Sale in Dukinfield for Price on Application. Open House Weekend - Saturday 27Th April 2019 - 1Pm-2Pm - Come Along And View It For Yourself - Please Call For More Details. Double glazed uPVC front door with a double glazed uPVC window with frosted glass facing the side. Radiator and carpeted flooring. Double aspect double glazed uPVC windows facing the front and side. Radiator, gas fire with stone surround, carpeted flooring and ceiling light. Double glazed uPVC door opening onto the side with double aspect double glazed uPVC windows facing the front and side. Radiator, vinyl flooring, tiled walls and ceiling light. Fitted wall and base units with complementary roll top work surfaces, one and a half bowl stainless steel sink with drainer. Integrated electric oven, gas hob and an overhead extractor plus an integrated fridge/freezer. Double glazed uPVC window facing the rear. Radiator, gas fire with stone surround, carpeted flooring and ceiling light. Double glazed uPVC window facing the side. Radiator, carpeted flooring, fitted wardrobes and wall lights. Double glazed uPVC window with frosted glass facing the side. Carpeted flooring, tiled walls and ceiling light. Low level WC, panelled bath and pedestal sink. Carpeted flooring, tiled walls and ceiling light. Single shower enclosure shower with electric shower. Carpeted flooring, tiled walls and ceiling light. Low level WC plus a wall-mounted sink. Double glazed uPVC windows facing the rear. Radiator, carpeted flooring, fitted wardrobes and ceiling light. Lawned garden to the front with decorative pebbled area. Driveway parking for a number of vehicles leading to the integral garage. The rear garden is accessed via paved steps down the side of the property to the rear lawned garden enclosed with mature hedging, shrubbery and fence panels.